Our latest announcement in OO is the diminutive PF012A PFA four wheeled container flat. 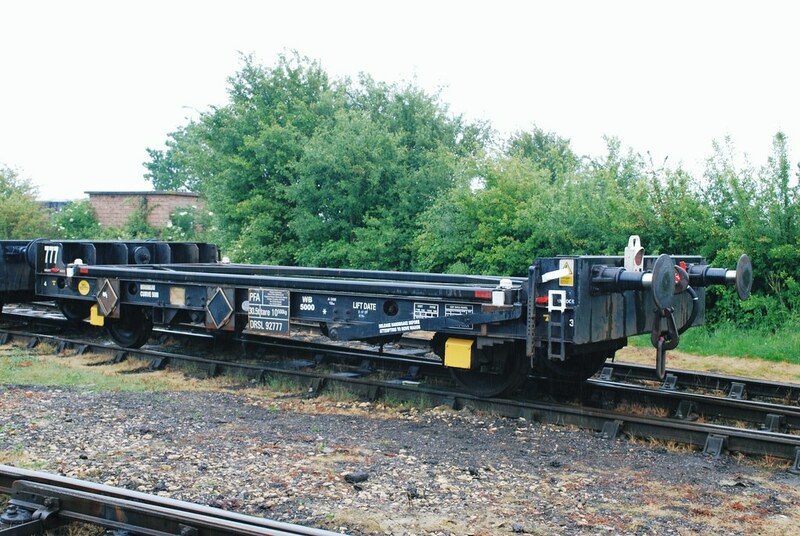 These distinctive four wheeled flats entered service from 1986 on the iconic Cawoods Coal containerised coal trains, which ran from collieries across England and Wales to ports in the North West for onward shipment to Ireland. These saw them run in block trains behind classic BR Blue and sector liveried traction such as Class 37s, 56s and 60s. In the early 1990’s a portion of these wagons were allocated to British Fuels and ran to various destinations between the North of England and Scotland. After privatisation of the railways, the PFAs continued in service carrying domestic coal traffic, but were also used to carry special gypsum containers for British Gypsum, and are still in service today, carrying low level nuclear waste for DRS. Our model of this versatile wagon will see a diecast flat wagon with multiple configurations to reflect their years of diverse service. A highly detailed container flat wagon with a wealth of separately applied parts will be joined with an array of different container bodies in multiple packs. With separate sprung buffers, diecast chassis for weight and provision made for easy conversion to EM and P4, these wagons will be the highest standards modellers expect from us. A pre-production sample due in the coming weeks, with CAD design complete and tooling almost completed in China. The as delivered iconic Cawoods Coal wagons will be catered for, as well as the bright orange British Fuels containers. These will come in packs of three wagons, with different identities and multiple packs available, allowing appropriate rakes to be built. Two different gypsum containers in two different liveries will also be offered for British Gypsum traffic, again in multiple packs of three wagons with different identities, branding and liveries, allowing colourful long rakes to be assembled as per the prototypes, perfect for EWS locos such as Class 66, 60 and 56. There will be two packs of three DRS flats carrying low level radioactive waste vessels and a separate pack of empty DRS flats which are also used as barrier vehicles. The price for each pack is £69.95 and available direct from Accurascale. Pre-ordering is now open with a delivery date of July 2019. For more information and to place an order, click here!